Your search for eye-makeup brushes ends here! 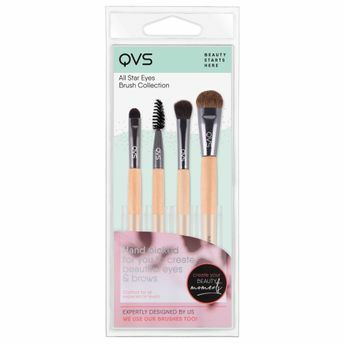 Get your hands on the All Star Eyes Brush Collection by QVS to achieve a complete and perfect eye makeup look with utter ease. This particular product has been designed especially to create eyes that range from subtle to dramatic to hypnotic.